Avnu Alliance, the consortium driving open, standards-based deterministic networking, has released its “Theory of Operation for Time Sensitive Networks (TSN)-enabled Industrial Systems" (i.e. Theory of Operations) best practices document. As the Industrial Internet of Things (IIoT) continues to grow, manufacturers are facing burdened automation and control systems trying to connect an increasing number of pieces and parts. A new demand for the integration of disparate traffic types and an increase in devices and communications pathways in industrial requires new technologies and standards, as well as new best practices that can enable interoperability among multiple vendors and provide an ecosystem for simplified network design. TSN is a core component of deterministic communication and is being driven by investments across markets. 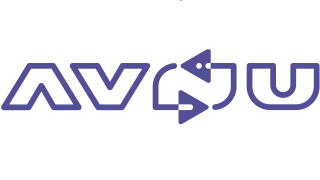 Avnu Alliance defines the market-specific profiles of TSN and certifies for interoperability, giving members and other protocol organizations a common foundation on which to build their deterministic network solutions. Network configuration informed by software defined networking concepts to provide flexible ad-hoc and pre-engineered networks. Device developers, system designers, and engineers will benefit from the system modeling and sample architecture made available in this paper. Developers can apply the concepts of the paper to ensure that their products can coexist in a shared TSN-based network. In addition to the full Theory of Operations document, Avnu Alliance has also made available a summary brief of the background, benefits, and use cases of the Theory of Operations for key decision makers and others involved in the implementation of new network processes within an organization who are interested in learning more about the benefits of TSN and its specific industrial market applications. "The value of TSN to the IIoT is only continuing to grow as more industrial systems rely on networks," said Todd Walter, Avnu Alliance industrial segment chair. “By publicly offering the Theory of Operations document we are able to educate current and potential Avnu members and other industry audiences who are looking to leverage TSN to create more efficient networking processes in the IIoT." To learn more about the Theory of Operations and download the full version, visit http://avnu.org/theory-of-operation-for-tsn-enabled-industrial-systems/.